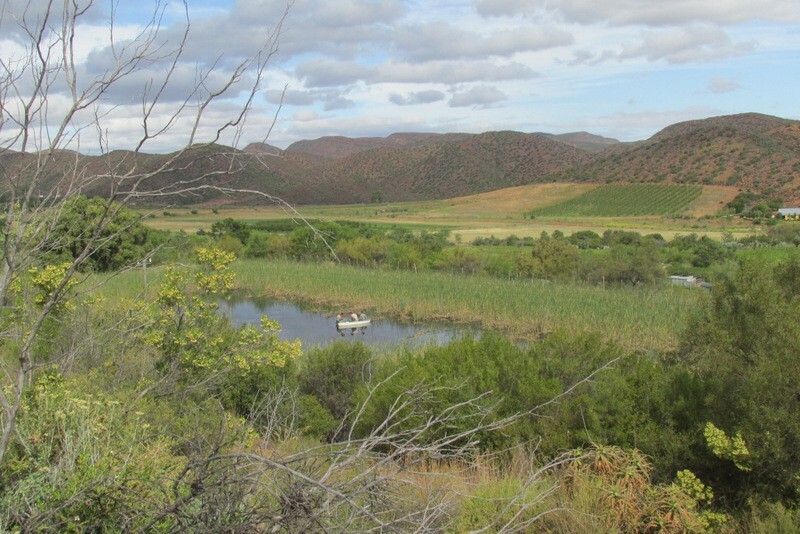 Enjoy the Klein Karoo in all its splendour! 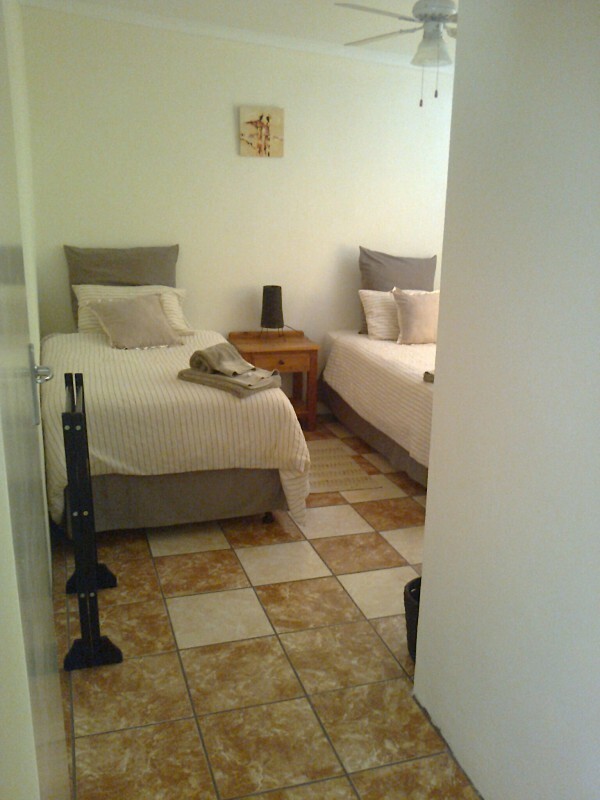 You deserve a restful place to rekindle your spirit and feed your soul off the beaten track. 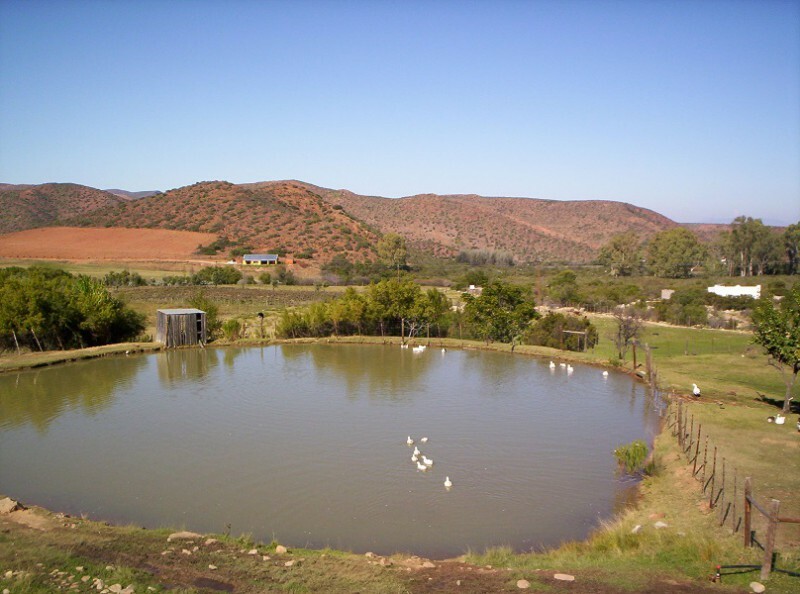 The Country Garden Guest Farm is situated in the quiet and beautiful Voorbaat Valley just 23 kms outside Ladismith town on the road to Laingsburg and 19kms off R62. A working farm with animals (pigs, sheep, rabbits, chickens) to feed. A children's farm paradise. Fanatstic stargazing and shooting stars. 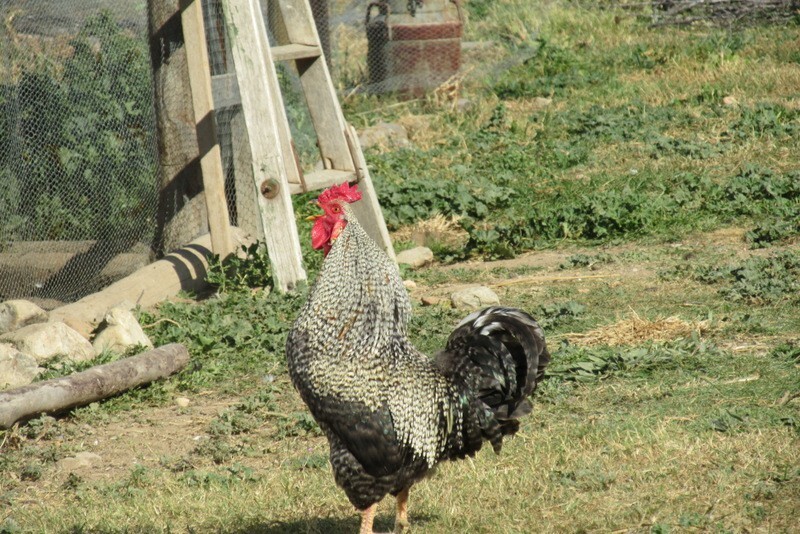 Birdwatching is easy on our farm as there are so many different and beautiful species. 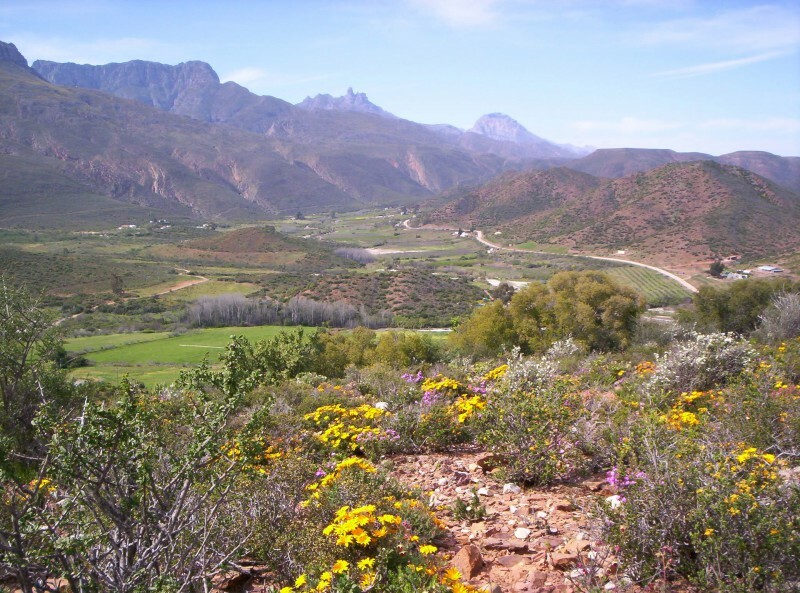 Situated at the foot of the Klein Swartberg mountain range, you can do an easy scramble up the mountain (5hrs to top) and see the most exquisite views. Fresh farm veggies and fruit available in season. 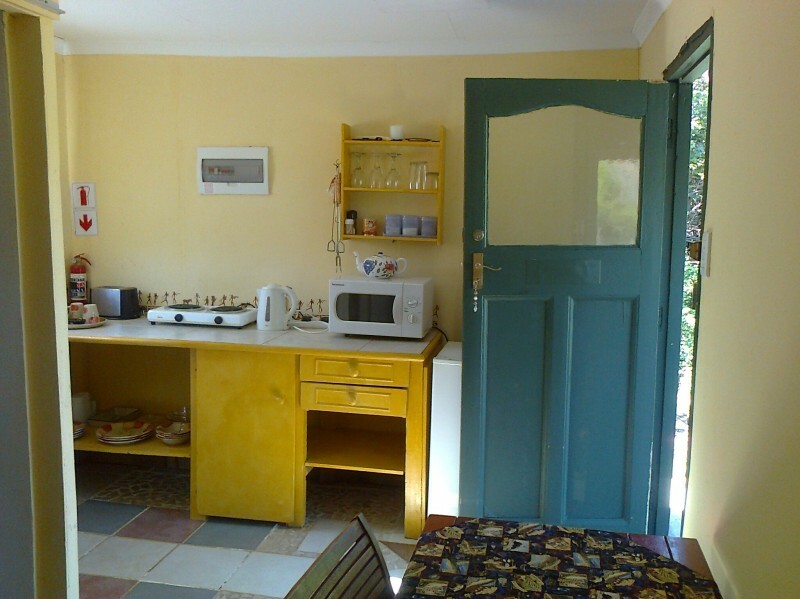 Fully equipped self-catering cottages await you or you have the option of Bed & Breafst with dinner on request. 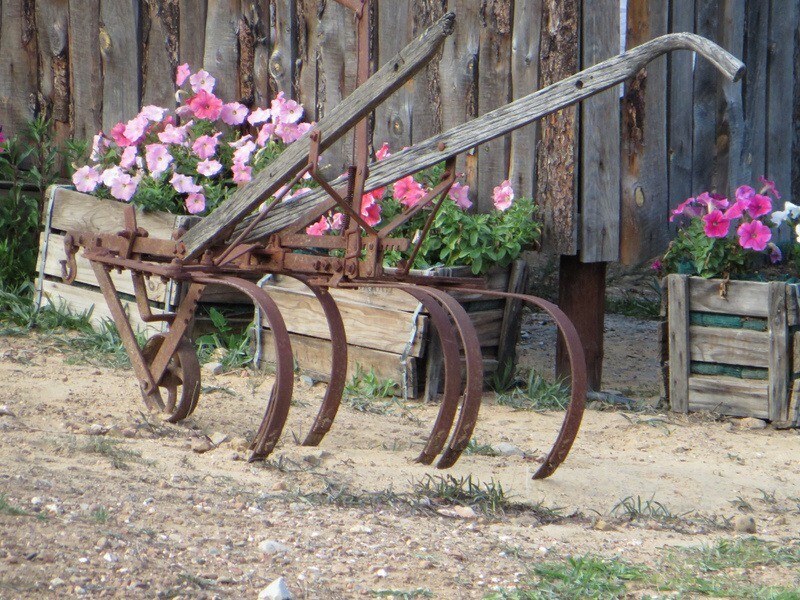 If you are looking for an affordable and relaxing getaway, The Country Garden Guest Farm is the perfect place for you. You will find an informal friendly atmosphere in a beautiful private setting - a world away from the stress of modern living. 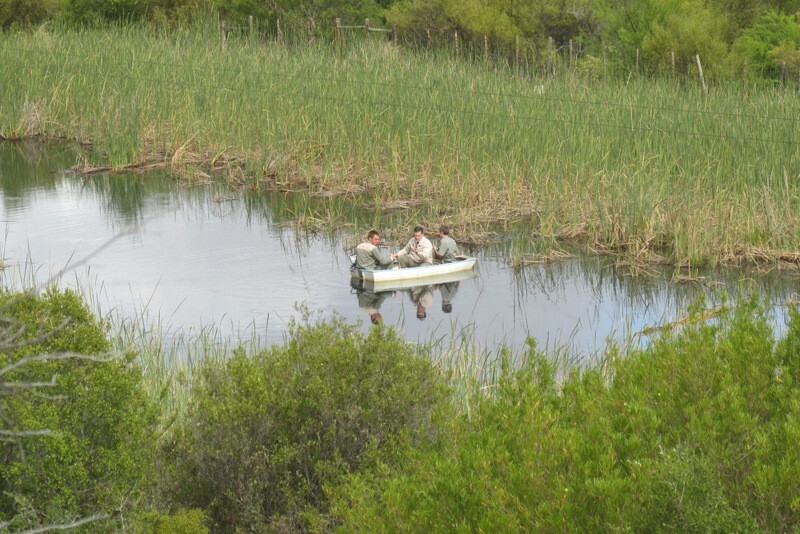 Direct access onto the Klein Swartberg mountains with all its diverse indigenous flora. Cool off in the mineral water dam. 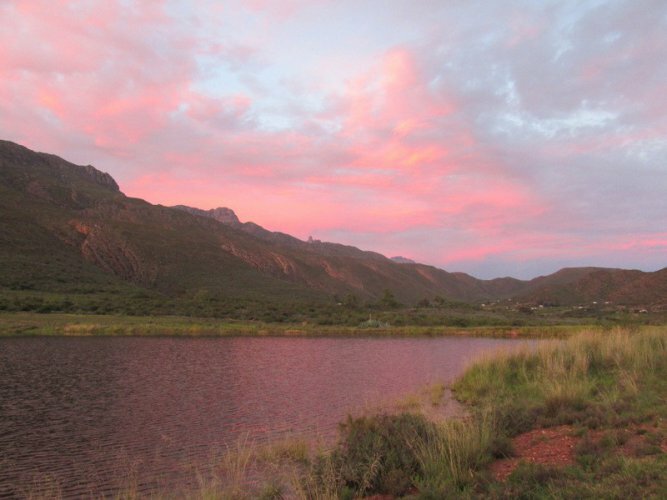 Country walks, kloofs to explore, mountain hikes or bring your mountain bike to explore the Voorbaat Valley and Vanzylsdamme. 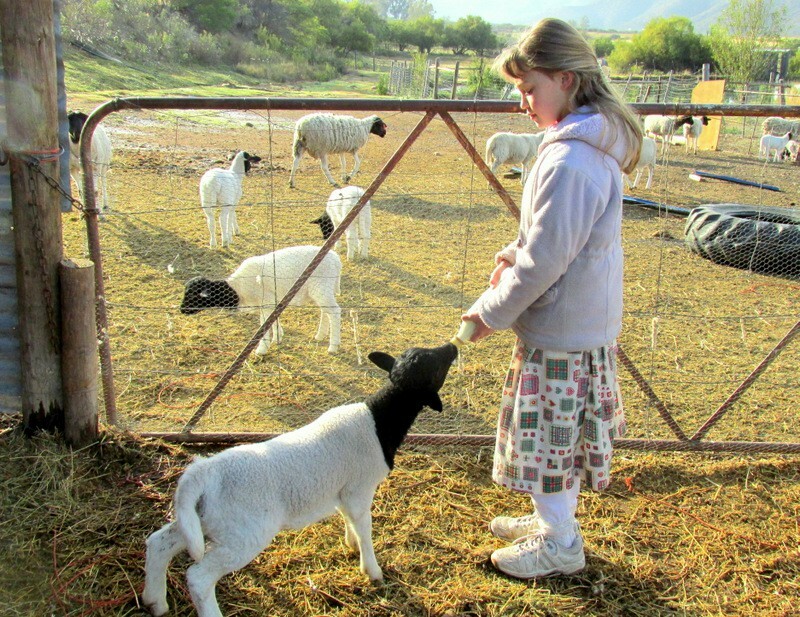 The Country Garden Guest Farm is a working farm so you will have the opportunity to interact directly with the animals: pigs, sheep, rabbits, chickens and goats. A children's paradise! 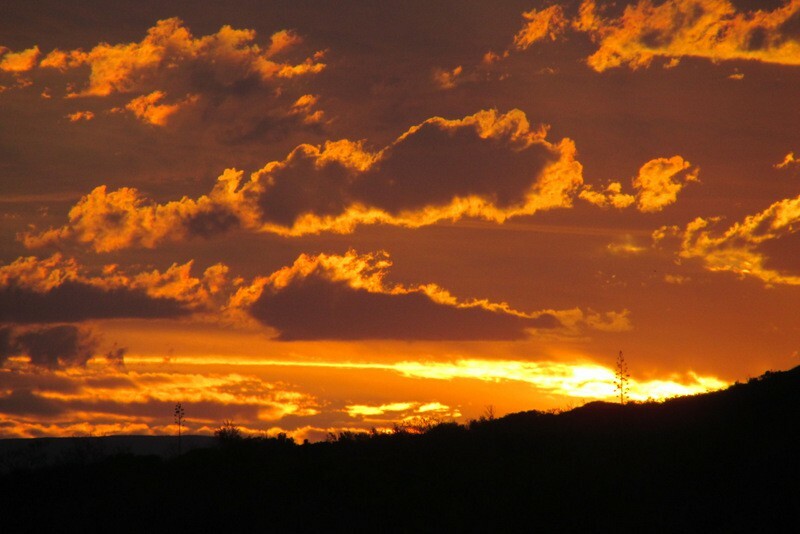 One of the clearest skies in the Southern Hemisphere for stargazing! A botanist's paradise! An incredible variety of flora. There is always something flowering. Bird Watching - more than 80 bird species including Black Eagle, Spotted Eagle Owl and the migratory European Bee-Eaters (from Dec - Feb). 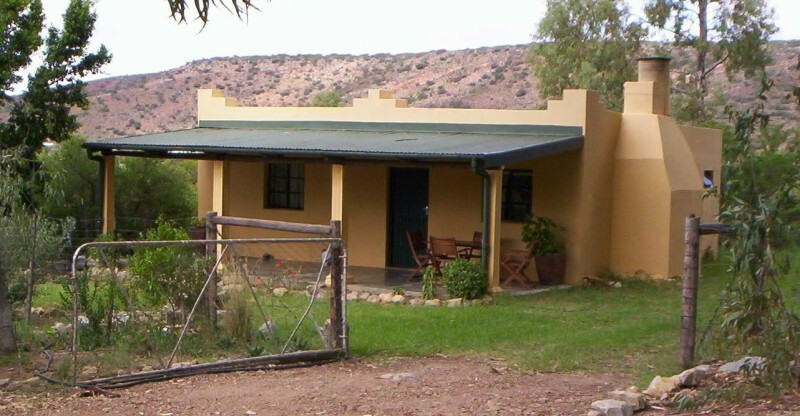 The Klein Karoo's unique country retreat! 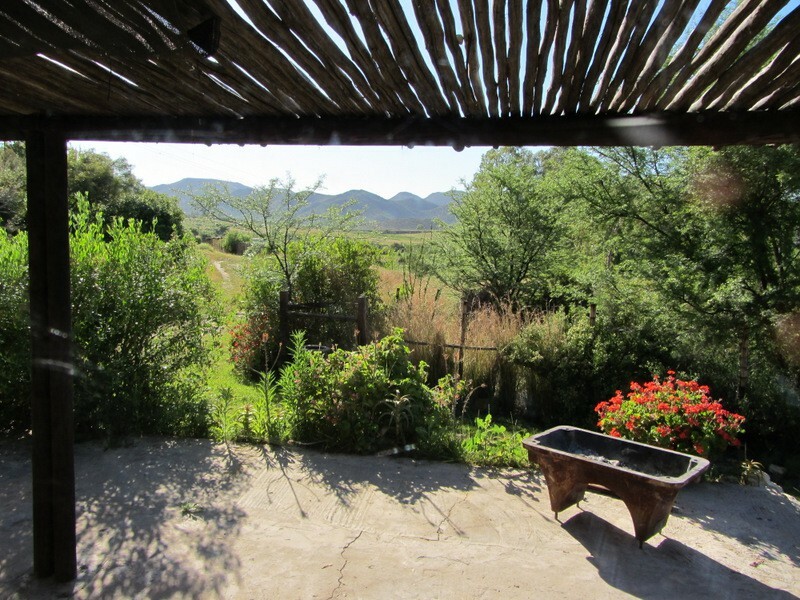 Positioned at the foot of the Klein Swartberg Mountain Range in the unspoilt fruit producing Valley of Voorbaat.